On the first part of this series we focused on our Cornwall site, in which we showcased how expertly European Springs manufactures springs for the automotive industry. In this blog we take a look at the London site and its expertise in stampings and pressings. What is Manufactured at the London Site? 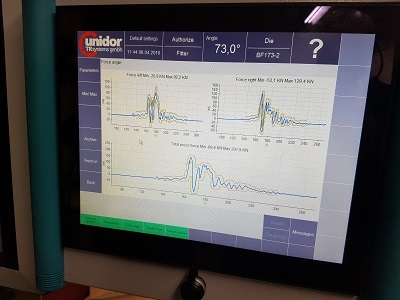 European Springs worked closely with Bruderer in order to apply small alterations to the existing 500-110B machine, which will allow for the machine&apos;s prolonged life and an increase in productivity. The Bruderer BSTA 500-110B is a ground-breaking press, permitting 66,000 stampings per hour. Installed in April of this year at the London site, the press quickly and positively impacted European Springs. Bruderer&apos;s expertise has provided a press that allowed for work to start as soon as it arrived, which minimised downtime. The arrival of the BSTA 500-110B transformed all European Springs’ sites, with a sales increase of £16 million. This growth has created 35 new jobs, increasing the workforce to 170 employees. With one of the world&apos;s most advanced high-speed, precision presses, advanced control technology, semi-automatic stroke length adjustment, and dynamic ram correction, the BSTA 500-110B is ideal for the production of complex processes that include prototyping and new product introduction. The introduction of innovative and safe presses such as the BSTA 500-110B allows European Springs to continue to apply decades of expertise in several industries. In the aerospace industry, for example, it&apos;s essential to manufacture high-quality and high-precision so that all components are sturdy and lightweight. 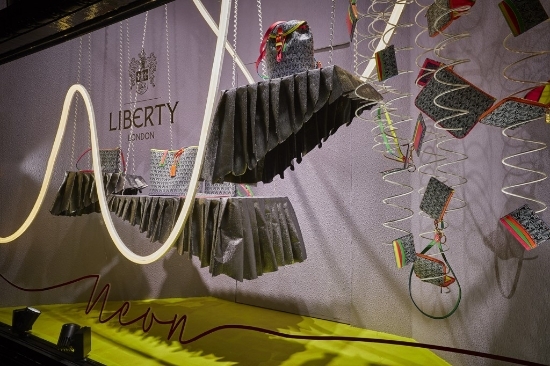 Recently, the Redruth site created a striking window display in collaboration with the luxury retailer Liberty in London. The display was composed of bespoke frames, for which European Springs provided 80 bespoke springs and wire forms. In addition to their functionality, the springs also had a stunning, decorative design. The two-metre springs of unique shape displayed a wide range of the client’s products, while keeping to Liberty in London&apos;s chic and modern look. Experts in rainscreen cladding and façade engineering, James and Taylor Ltd, contacted the location in Beckenham in regards to the creation of a spring mechanism for the new Tate Modern, belonging to a security area that supported an anti-climb zone. With an extremely limited time frame, our material suppliers Staystrip Group Ltd worked overtime to provide us with the necessary materials for this challenging project. The finished 650 bespoke springs, composed of a two-part mechanism, were collected by Design Director at James and Taylor Ltd, John Champion. In both Liberty in London and Tate Modern projects, European Springs&apos; expertise in manufacturing springs and wireforms was showcased through bespoke products that were manufactured to the highest-quality. With a team experienced in a wide range of industries, our clients always receive the highest possible service. For more information about our London site, you can get in touch with our team on +44 208 663 1800; we&apos;re always happy to answer any queries you might have. You can also follow us on Facebook and Twitter to see our latest news and updates.